We shook it up baby, we could twist and shout. We went to Woodstock, rocked and rolled. Our generation desegregated buses and sent men to the moon. We sang Mustang Sally while our gal Sal rode a rocket ship to meet a robot in outer space. "Ride, Sally Ride" we chanted. We were born before the Beatles came to America. Fortunately, we had "the pill"; we loved in, lived fast and thought we would die young. "Never trust anyone over 30," we agreed. We had it all, we did it all. But how did we ever get to here? 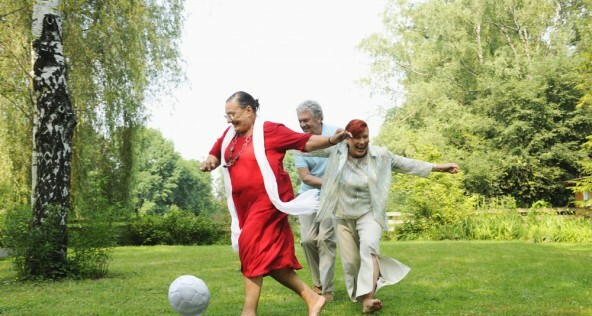 In 2011, 77 million Baby Boomers are turning 65. Let's face it, we are getting older, but wiser...not so much. Last week we went to dinner with friends who "don't stay up late" so they couldn't go to the Saturday night Comedy Club that was actually over by 10:30. My friend who sings just like Joni Mitchell had back surgery and is in a rehab to learn how to do everyday things with a handicap. The cutest guy in the class of 69 died last week of lung cancer. My best friend, Imelda Marcos of Pennsylvania, had bunions removed, which resulted in a blood clot that nearly killed her. Now she can only wear heels that are less than 2 inches. Several of my sailing buddies are diabetic. Provisioning food for a weekend is a pain and rum is not an acceptable beverage. Many of us are kept busy with doctor appointments for ourselves or our parents. I myself am in remission from an incurable cancer, multiple myeloma that mostly affects men who are older than baby boomers, and worked with agriculture or in coal mines. I was always the "health food nut". No sodas, artificial foods, microwave cooking for me. I was "Mother Earth" with a 40' by 60' organic garden. I "went green", took vitamins, ate organic meat and drank goat's milk before John Mackey, founder of Whole Foods, had his driver's license. So go figure why I need miracles to keep me alive. Let me ask you if you have been in the hospital for tests lately? I had every bone in my body x-rayed, my two kidneys sonogrammed and my heart echocardiogrammed last month. Then I tried to find out what the results were. "Could you please have the doctor explain the results?" I begged the nurses who generally aren't allowed to give an opinion or answer serious questions. Or I asked one doctor who really had no clue what the other doctor did or why. When they looked back to find the notes, often they were unable read the handwriting. They told me they would consult with the other doctor, but alas, never get back to me with an answer. My blood pressure was high. Hmmm - Who knew this is what healthcare would come down to; but guess what? A new poll shows that we are more afraid of being able to pay our medical bills than we are about facing a major illness or disease, dying, or losing the ability to do favorite activities. I guess we don't "have it all", after all. Oh no! What can we do, who can we whine to? We are, after all, spoiled and accustomed to getting answers, and producing immediate gratification. It appears that the "powers that be" are doing some critical thinking about the boomer's situation. Can you imagine that Chicago taxpayers spend $500 million a year to provide a rich healthcare plan for city employees (nearly 10 percent of the city's annual budget)? Concerned about the economic consequences of the continued growth in healthcare spending, most companies are trying to control these costs through programs that engage employees in the prevention of medical troubles. Frustrated employers are willing to utilize enhanced screening for every employee to predict impending catastrophic claims, and then establish benchmarks and long-term goals, including weight loss, medication, exercise routines and kicking the smoking habit. Employees get wellness training. Coaches ride herd over the "I'm special generation" on a weekly or bi-monthly basis to make certain they're following their prescribed nutritional, medical and physical fitness regimens. Failure to comply directly hits them where it hurts... their checkbook. While sipping iced latte and eating a danish at Panera last week, I asked my overweight, diabetic friend if she would comply with tracking her carb intake if someone prodded her on a biweekly basis? She said, "No". I continued, "Would you test your diabetes to see what your numbers are"? She said, "No". "Why not?" I asked her. "Because I want to eat whatever I want," she answered smugly. "OK", I upped the ante. "What if I gave you $600 for fun money to go shoe shopping every year"? Imelda weakened, smiled reluctantly and said "I'll think hard about it." To kick it up a notch, some health plan providers have partnered with nurse hotlines, and even doctors who will, would you believe, return a phone call within 24 hours. Employers can even offer a benefit which gives diagnostic consultations. A comprehensive telephone medical consultation, often results in diagnosis and specific treatment recommendations. A complete medical assessment is required prior to consult. Medication may be prescribed as appropriate. These consults occur within 3 hours of the patient's requested consultation time. I was astounded to learn about this after 4 months of navigating myself through procedures, tests and appointments with specialists. I can't tell you how many sleepless nights I spent as I waited weeks for the results at my next appointment. This timely service is exactly what all patients' need. Carlisle Regional Medical Center recently came under fire from the PA State Department of Health, which released a report indicating that the hospital was working with a short-staffed emergency department when two patients died in the first full week of June this summer. It's clear to me this country has a crisis. While Michelle Obama worries that our children are too fat, employers are afraid to tell the parents that we are too fat. Instead, they suggest that once a year everyone walks around the office complex to make us aware that exercise is important. My sweetheart wakes up and enthusiastically announces its "donut day" at the office on Wednesdays. When my office works late on a project, the boss brings in pizza with pepperoni. Salad is not a word in his vocabulary. What we have here is a lack of communication. HR doesn't have time to concentrate on our health issues and how to be politically correct when they approach the subject. I don't have enough patience in my life to wait for critical answers. There is a shortage of doctors, nurses and people who care. There are millions of us who need someone to make us feel better, heal better, and tell us what's best for us. It's time to think out of the box. HR has to get the word out so that employees know what their options are to get help. Outsourcing these tasks to professionals who know how to engage employees and their bosses is the key to getting results for everyone. Will empowering the Baby Boomers to pay attention, get involved, get answers, get coaching, get moving, get the results that employers need to control health care costs? Who knows, but we have everything to lose if we do nothing. Baby Boomers and our children need to take responsibility for ourselves and our future. Mark Twain once said, "The secret of getting ahead is getting started. The secret of getting started is breaking your complex overwhelming tasks into small manageable tasks, and then starting on the first one. Founded in 1994 to support organizations that understood the importance of not just providing benefits, but effectively communicating and explaining those benefits, BenefitVision now serves over thirty clients who have operations throughout the US. Our Tele-enrollment center in Harrisburg, PA, and an Enrollment Office in Los Angeles, CA which are staffed by specially trained and licensed Benefit Specialists. They help clients engage employees in wellness programs and other benefits. Equipped to handle up to 4000 calls a day, our enrollment service is generally available 9 am to 9 pm every working day, in all time zones.